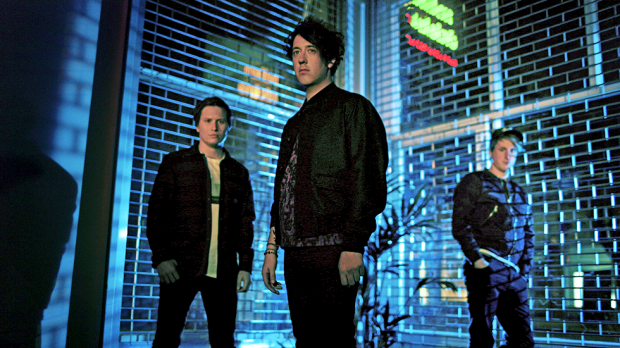 The Wombats tend to evolve with each album, just as the animal they are named after evolves every century or so. But new track Lemon To A Knife Fight, from their upcoming fourth album Beautiful People Will Ruin Your Life out February 9, sounds like it could easily fit on their previous effort, Glitterbug. While I’ve come to expect change from the band, the similar sound to Glitterbug could be a good thing, as the album saw them reach new heights, especially in the USA, and Greek Tragedy is now their most popular song. Lemon To A Knife Fight is no Greek Tragedy, but it is still a good track. It contains the band’s signature witty lyrics, and although the “I bought a lemon to a knife fight” metaphor seems a little stretched when considering the rest of the lyrics, it’s still catchy. Which is what we want from The Wombats. The track also appears to bring guitars back to the front, with the four chord riff being the base of the song, which fans of A Guide To Love, Loss and Desperation might appreciate, although this does sound slightly repetitive. Overall, Lemon To A Knife Fight might not be what you’re expecting from a new Wombats album, just because it’s so similar to previous albums. It is not the best we have seen from the band, I wouldn’t call it a stand out track, but it is still a good song, and a good starting point for a new album. We’ll see where The Wombats go from here.